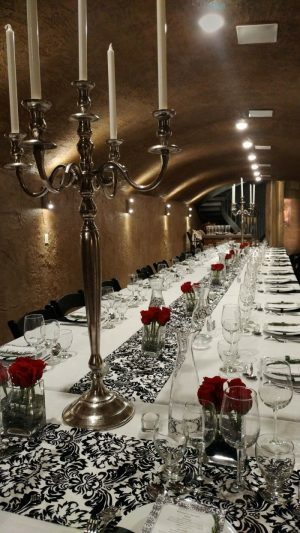 Locally inspired 4 course dinner in the caves at Seven Stones hosted by Winemaker George Hanson and guest Chef Curtis Pedwell from The Copper Pit Restaurant in Princeton, BC. Ticket price includes shuttle from Osoyoos or Penticton. Visit Seven Stones Winery website for more information.